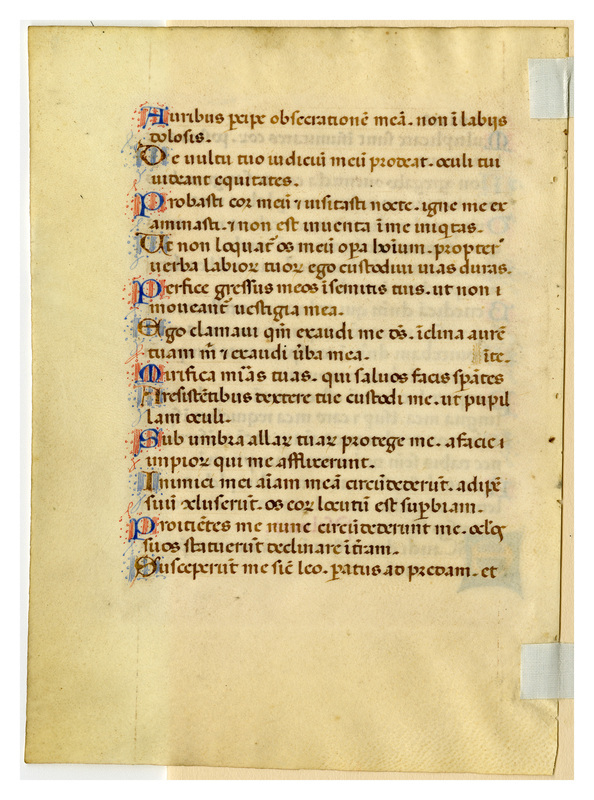 Denison owns another leaf from this same source manuscript (shelfmark Z109.O75, leaf 6). Only three other specimens are known to exist, owned by Central Washington University, Smith College, and the Rhode Island School of Design. Donated to Denison University Archives and Special Collections by Dr. Fred Porcheddu-Engel on October 30, 2015. 300 dpi, JPEG file; 187x133 mm, written area 119x93 mm. Single column, 22 lines, beginning "meas in eis." Loose. 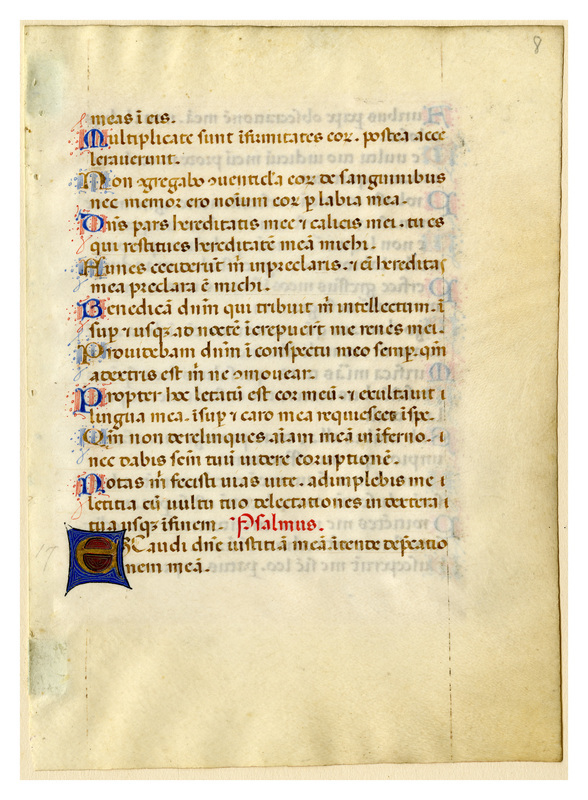 “E0106 Leaf from an Italian Psalter,” Digital Exhibits | Denison University Archives & Special Collections, accessed April 23, 2019, http://exhibits.denisonarchives.org/items/show/11.